Morgan's Security Blog: Ransomware to make money? Ransomware can be used to make money, no hear me out. Ransomware as a vector to make money... no it is not what you think. So the latest ransomware(s) are doing the rounds after the horror that was Wannacry, we now have Petya (sorry this went active months ago), NotPetya and GoldenEye all go active overnight. Petya has been around a while but the new ones uses the same vulnerability WannaCry did (EternalBlue), plus they now steal local credentials and re-use them to infect PC's across the network and world that use the same credentials, regardless of their patch level. These viruses have been seen on everything from Point of sale systems in the Ukraine to chocolate factories (seriously chocolate, do beer next and watch Australians find you, and tear you limb from limb). WannaCry had loads of wallets; First one 17.5btc ~US$45,000, Second one 19.75btc ~US$50,000, third one 14.4btc ~US$36,000. Total of around 150,000 in total earnings. Thanks to https://twitter.com/actual_ransom. So why do they do this, they don't actually make an amount equal to the development time or disruption they cause. I've thought about this a lot. Surely there are better ways to make money. One virus (Adylkuzz) was recently found that also used the same vulnerability WannaCry did. However Adylkuzz sat silently on the PC it infected slowly infecting others... and mining a different Crypt-currency called Monero. Now that is a much smarter long term money maker. Proofpoint have a good breakdown of Adylkuzz here and as of the 15th of May, likely only a few weeks into their virus mining crypt-currency, they had around US$50,000. This is important as the mining crypt-currency takes time. Sorry I can't link directly to the wallets, as Monero doesn't work like Bitcoin in this regard. They seem to be using lots of Monero wallets too, so they are likely making a lot more. This mining by malware I thought was an interesting method, though it isn't making them millionaires it is still a slow steady source of money. The Bitcoin wallets used for the ransomware don't seem to make much, not for the effort put in to code and distribute their malware. No the bad guys are performing, I think, a writ-large pump and dump scheme. 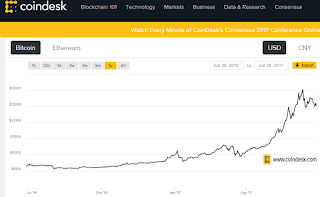 Bitcoin has gone from around US$500 a year ago to US$2500 as of writing this. It is slated to get to US$5000 by end of year. In fact if you look at the spikes they have almost always coincided with ransomware releases, some spikes have gone before the malware hit, perhaps indicating a buying frenzy of knowledgeable parties. 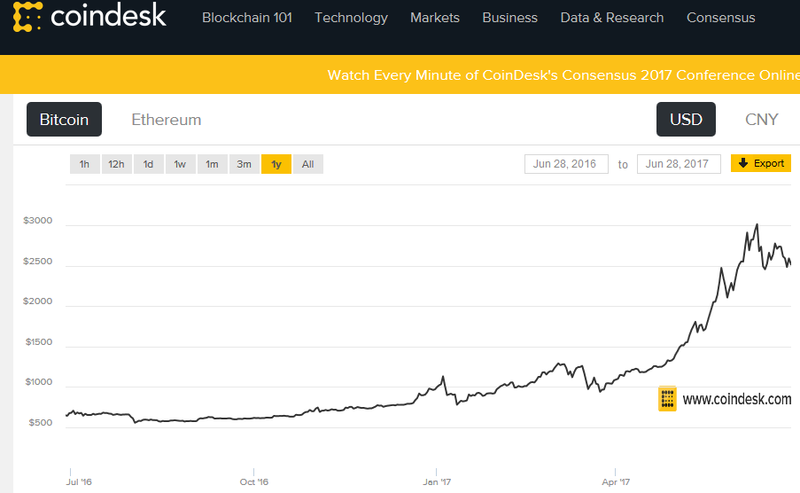 Combine this with some companies speculatively buying bitcoin in case they get ransomware (as reported on the risky business podcast), and other people buying simply due to the value increasing and you have yourself a criminal led massive pump and dump scam. The criminals probably bought and mined bitcoin years ago, and are sitting on it. 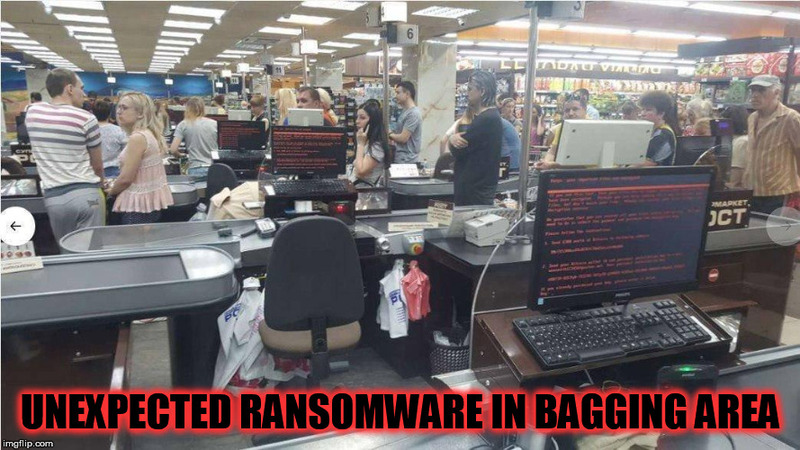 They then pump the demand and thus the price up by doing these virus releases, selling them as ransomware as a service to unsuspecting clients... then the price rises and rises... then they sell out all their bitcoin. The market crashes... but they have millions. Better yet their bitcoin wallets are not in anyway related to the ransomware transactions so it becomes difficult to catch them, apart from the usual untraceable nature of bitcoin transactions. So there you have it, don't play into their game... maybe, or if you do jump out before the bad guys dump out and kill the market, good luck with that. Oh and protect yourself from this an all other ransomware by doing backups, not opening files from people you don't know, removing admin rights, making the admin password unique per machine, and maybe even rolling app white-listing into your environment. The LAPS tool from is free from MS and should be investigated and used to ensure unique passwords on all domain joined computers.